The first exoplanet ever discovered is now the first exoplanet ever observed in visible light. 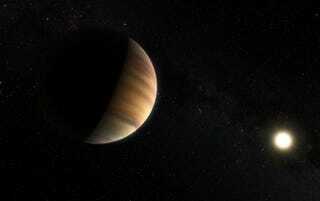 51 Pegasi B, a super Jupiter located about 50 light-years from Earth, was detected by comparing the light bouncing off its highly reflective surface to the spectral signature of its host star. It’s hoped the new technique will lead to similar discoveries.